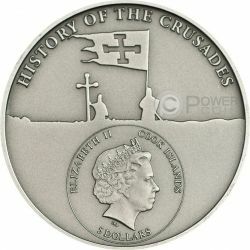 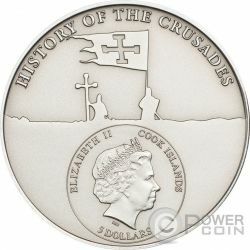 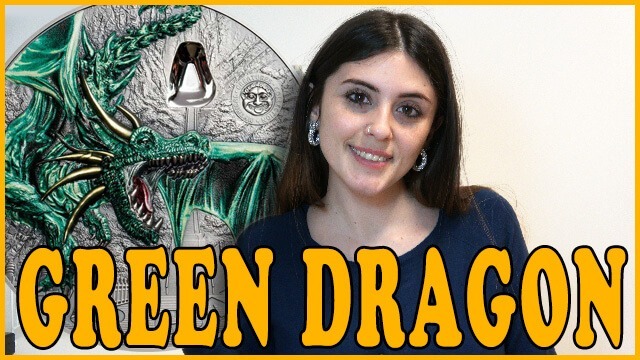 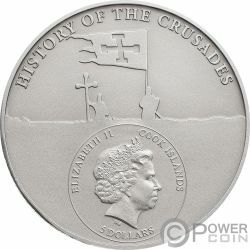 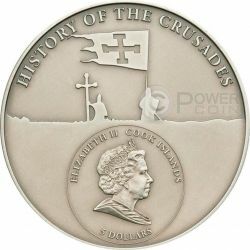 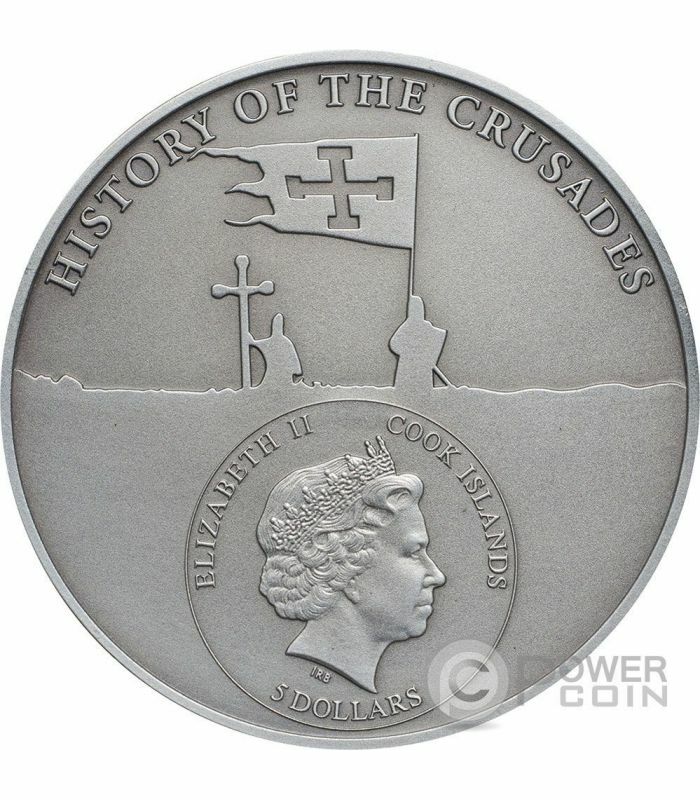 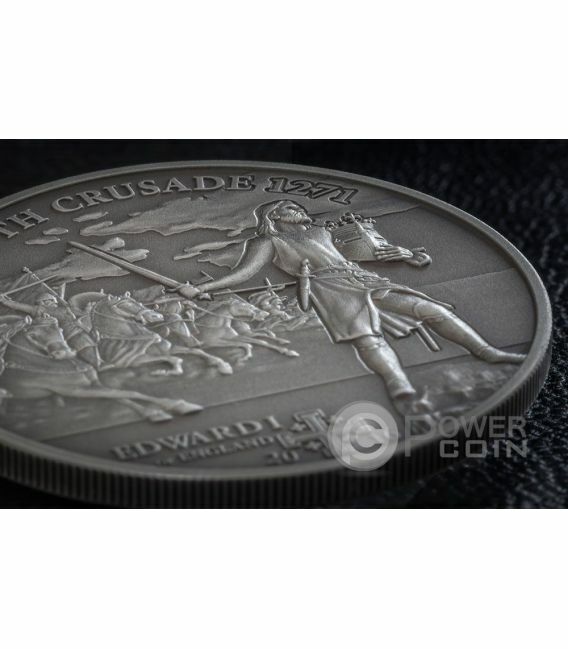 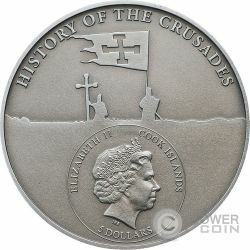 This beautiful Silver coin issued by Cook Islands is dedicated to the Ninth Crusade. 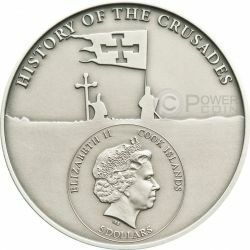 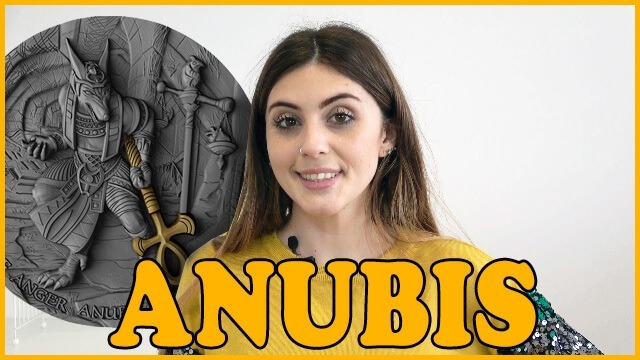 It belongs to "History of the Crusades" series. 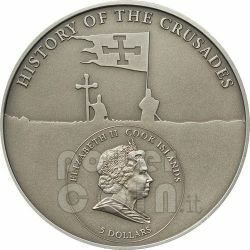 The Ninth Crusade is commonly considered to be the last major medieval Crusade to the Holy Land. 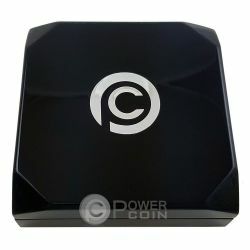 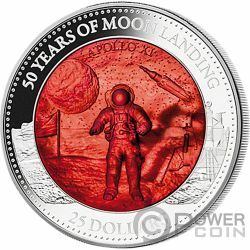 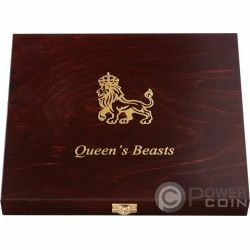 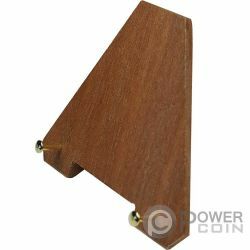 The coin will be shipped in a special box, along with the Certificate of Authenticity. 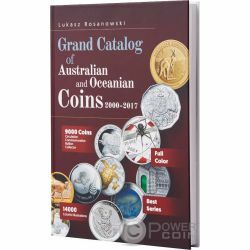 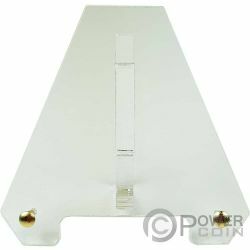 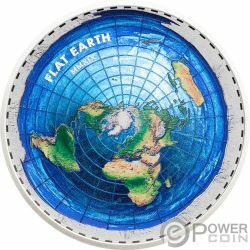 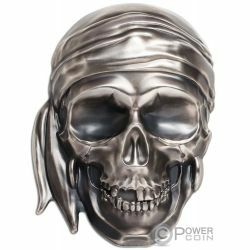 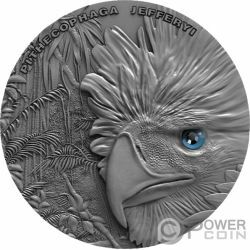 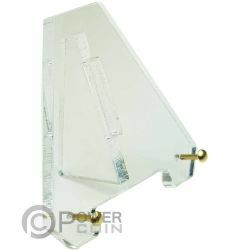 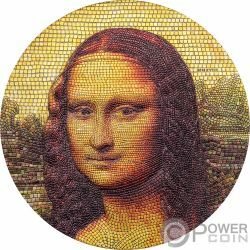 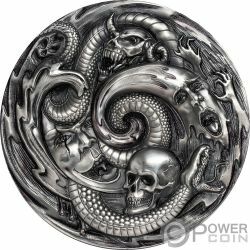 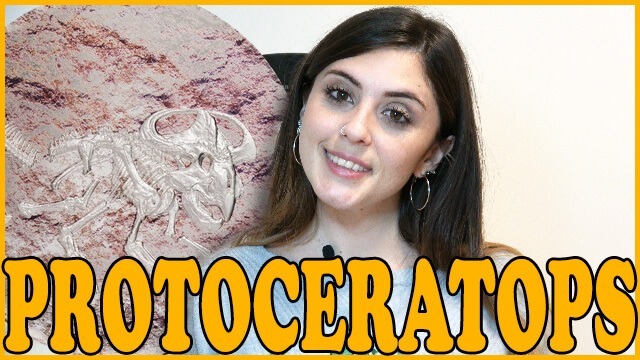 Low mintage to 1.000 pieces worldwide. 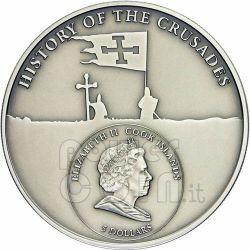 The Ninth Crusade, which is sometimes grouped with the Eighth Crusade, is commonly considered to be the last major medieval Crusade to the Holy Land. It took place in 1271–1272. 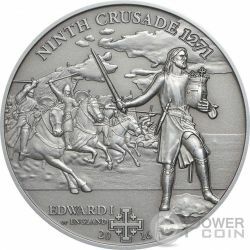 Louis IX of France’s failure to capture Tunis in the Eighth Crusade led Henry III of England’s son Edward to sail to Acre in what is known as the Ninth Crusade. 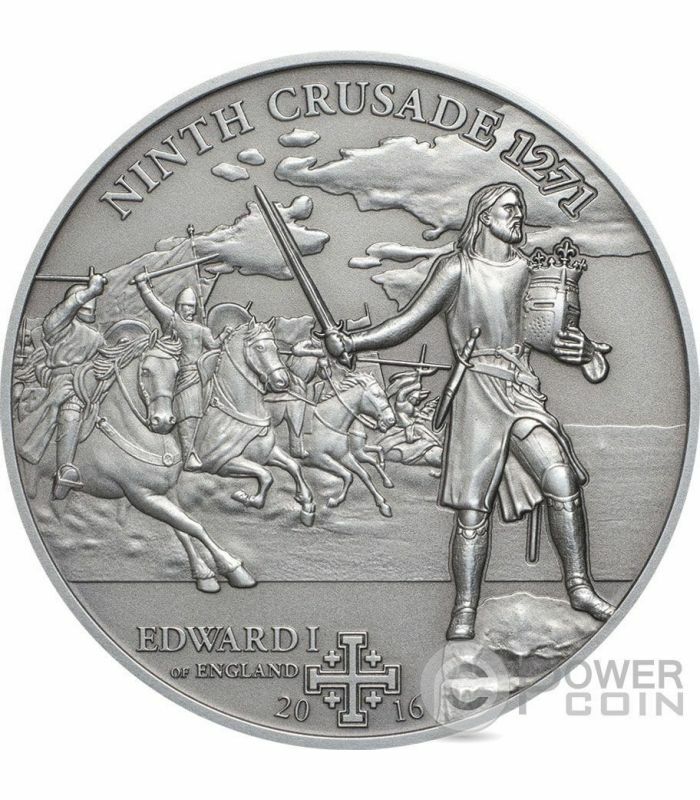 The Ninth Crusade saw several impressive victories for Edward over Baibars. Ultimately the Crusade did not so much fail as withdraw, since Edward had pressing concerns at home and felt unable to resolve the internal conflicts within the remnant Outremer territories. 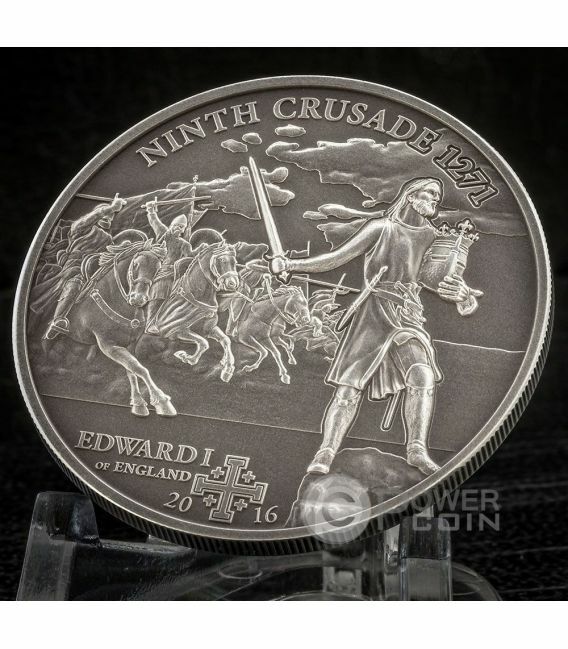 It is arguable that the Crusading spirit was nearly “extinct,” by this period as well. 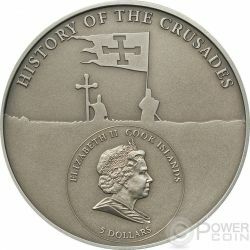 It also foreshadowed the imminent collapse of the last remaining crusader strongholds along the Mediterranean coast.